Plastic manufacturing companies use granule conveying systems to transfer particles, powder and dry bulk materials through an enclosed vertical or horizontal conveying line. The force that drives these systems comes from a combination of the flow of air or another gas and pressure differential which is supplied by an air mover such as a fan or a blower. Systems can only convey materials successfully if the airflow and vacuum or pressure is well controlled. At Airtech Vacuum Incorporated, we only provide top notch vacuum and pressure technologies that can be used in several industry applications. 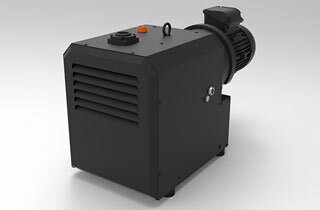 Our highly experienced engineers can custom designs vacuum pumps and blowers to fit any company’s unique needs. More and more companies are moving from the mechanical conveying to use granule conveying systems to transfers their materials. The reason is because pneumatic conveying has several advantages over mechanical conveying. The first main reason why companies prefer using granule conveying systems is because they can easily be configured with bends to fit existing equipment which gives them more flexibility. This also means that granule conveying systems now occupy less space than mechanical conveyers which basically have a straight conveying path. At Airtech, we fully understand the challenges that face the plastic manufacturing companies and we ensure that we come up with products that will allow smooth operations. As mentioned earlier, granule conveying systems transfer materials like granules and powder which means they have to be in an enclosed unit. 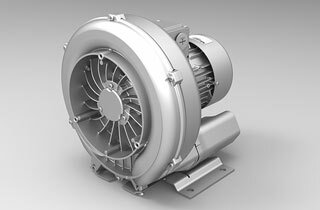 Our high pressure regenerative blowers are professionally designed to handle systems that are totally enclosed to allow successful material transfers. Why Choose Airtech Vacuum Incorporated For Granule Conveying Systems? At Airtech Vacuum Incorporated, we have amassed more than 30 years of experience in the manufacture of a wide range of vacuum and pressure technologies. For over three decades, we have been providing our clients in the US, Europe and Asia with high-end vacuum pumps and regenerative blowers at very competitive prices. Our company is ISO9001-2008, UL-, CE-, RoHS-, and CSA-certified, so you can be assured that our products are of high quality and meet the required set of standards. We have several warehouses in Atlanta and San Francisco where we have ready to ship products. Our Engineers also partner with our clients to custom engineer and offer design solutions for systems to meet each client’s unique needs. We have representatives who are available at all times to assist clients and also answer any questions you may have regarding our products. We have made online shopping easy for you and we take our cyber security seriously to ensure that all our clients’ personal and purchase data remain safe. To buy vacuum pumps and regenerative pumps for granule conveying systems, browse our inventory today and shop with confidence.